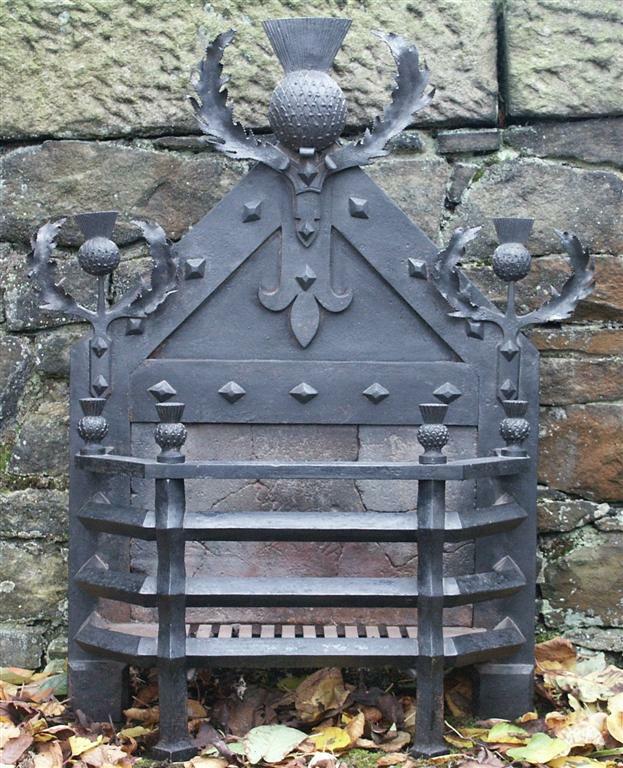 A Scottish wrought iron neo gothic fire basket / dog grate.The back is decorated with large wrought iron thistle and leaves-the larger middle one being approx. 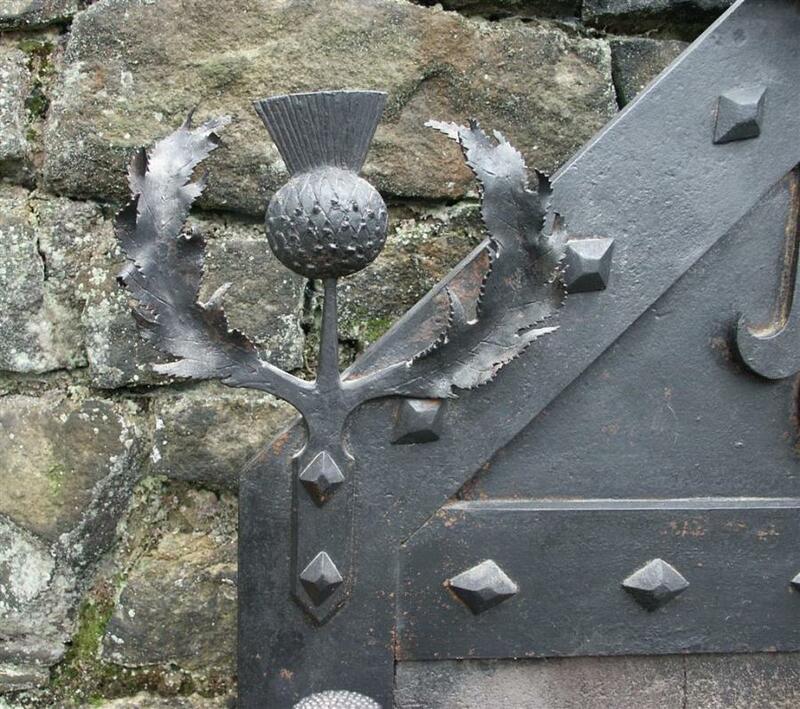 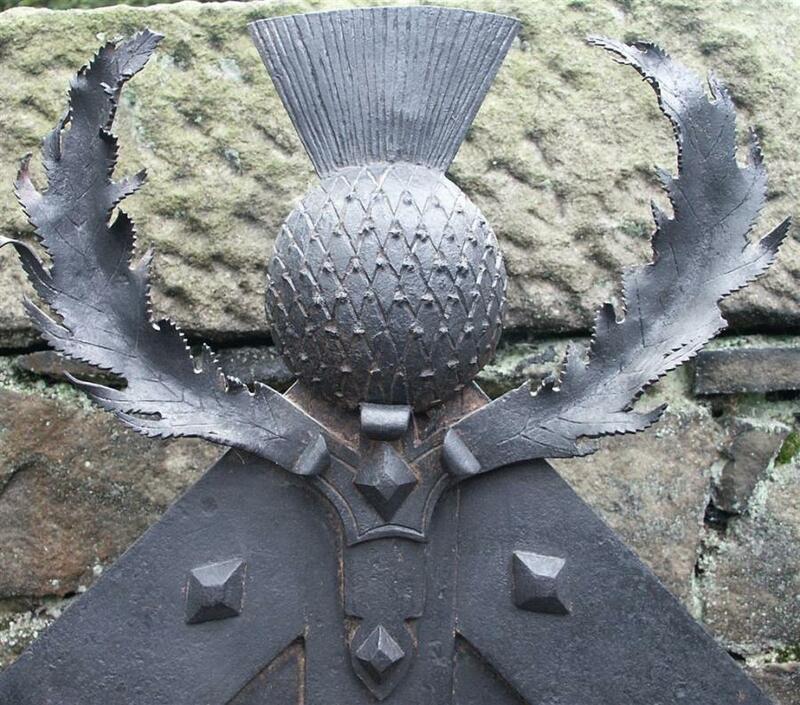 14 inches across.This grate is made entirely of wrought iron including the 4 thistle finials surmounting the grate.Finely made by J.McHardy & Son, Aberdeen in 1895. 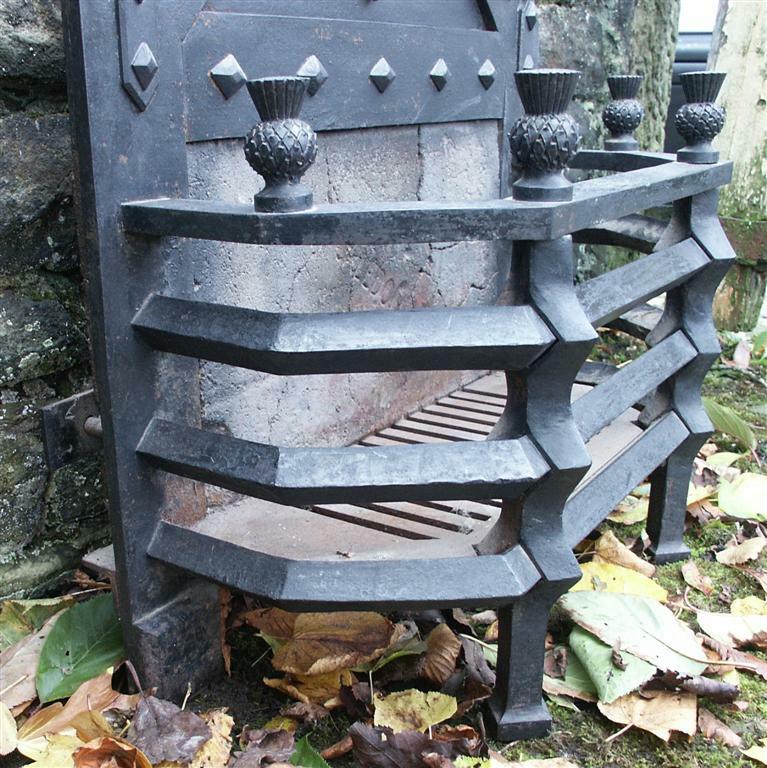 Overall size is 32" wide by 40" high.Interior space in grate is 21.25 by 8.5" deep.